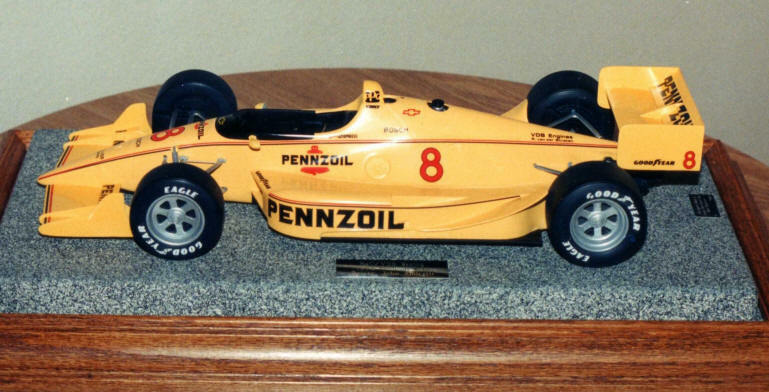 A 1:10th Scale model, built as a sales tool, to introduce us to team owners, who were not familiar with our models at that time. 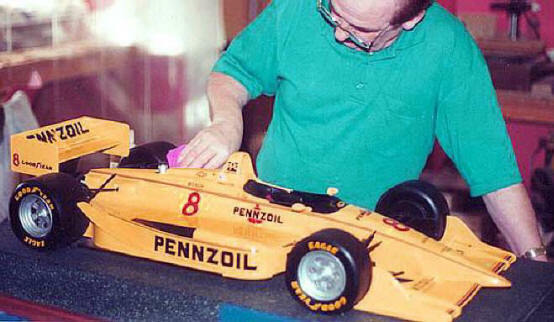 We used it extensively at the 1992 Toyota Grande Prix of Long Beach. 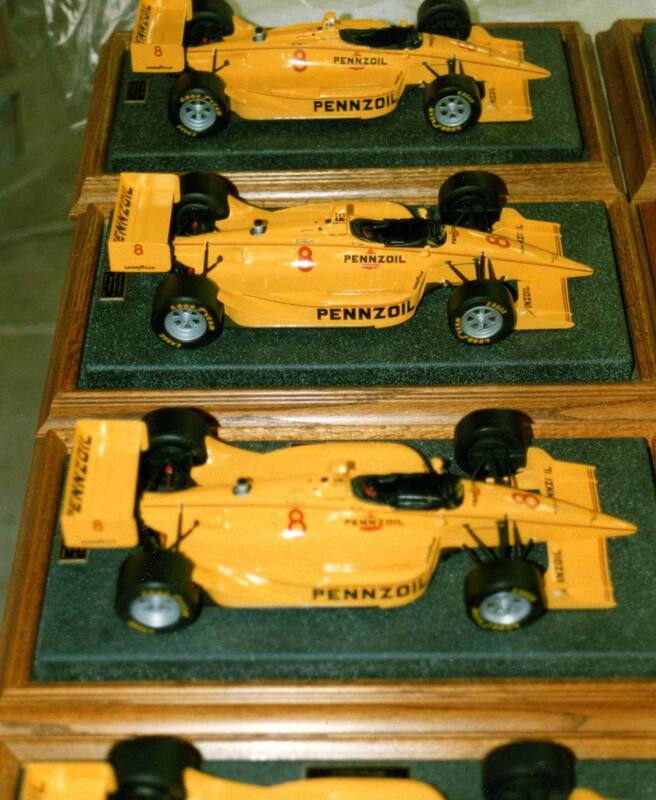 The next time we built Pennzoil cars was 1993/1994 as part of our Japanese order, where we built four, 1:10 scale 1993 Pennzoil Lola Chevrolet #8, and one large 1/5 scale shown below. 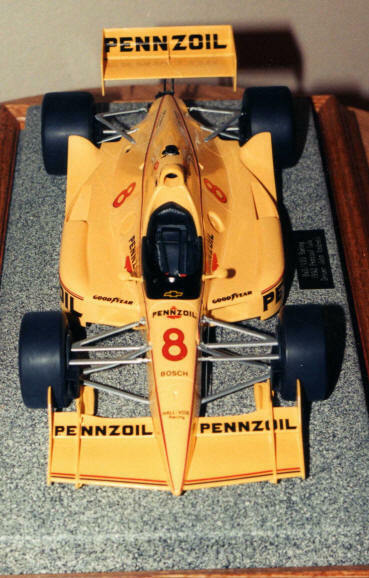 These were Teo Fabi 1993 #8 cars, and not John Andretti 1992, as shown above. 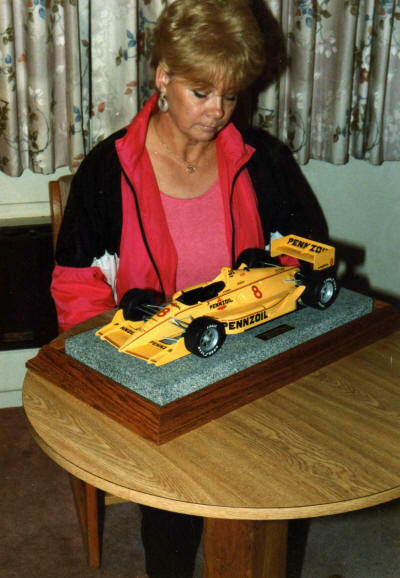 The team name had also changed in 1993, to Hall/VDS Racing.